For weight optimisation, axially symmetric parts such as drive shafts or pressure gas tanks are nowadays manufactured from fibre-reinforced plastics (FRP) by the established and economical filament winding process. In most cases, however, the process is restricted to thermosetting matrices. Yet, compared with thermoplastics, thermosets have poorer impact resistance, e.g. to stone chipping, they cannot be welded, e.g. to mould on assembly elements, and they have only limited recyclability. IKV's new approach involves processing a thermoplastic not in melt form but, similar to a thermosetting reactive resin, by the filament winding process. 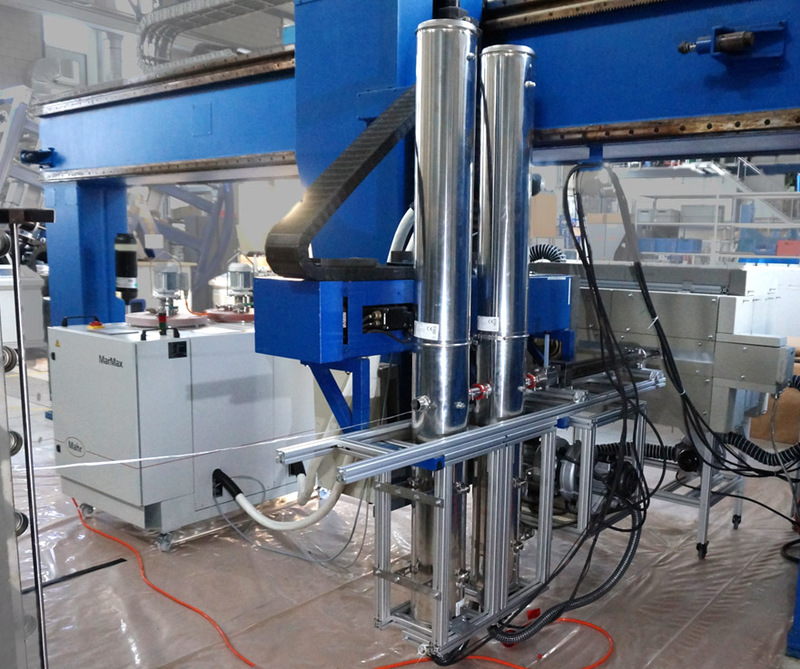 IKV has developed the necessary machine engineering for this and installed it in the Institute's FRP pilot plant. The reinforcing fibres (rovings) are first dried and heated to remove the ambient moisture, which is harmful for the polymerisation. The rovings are subsequently impregnated with a low-viscosity monomer reaction system. A mixing and metering unit, Type "MarMax 122B", from Mahr Metering Systems GmbH, Göttingen, adapted specifically for this process, provides the reaction system. The polymerisation subsequently takes place first in an encapsulated pre-polymerisation section in which the viscosity increases far enough to prevent the matrix from dripping off the roving. 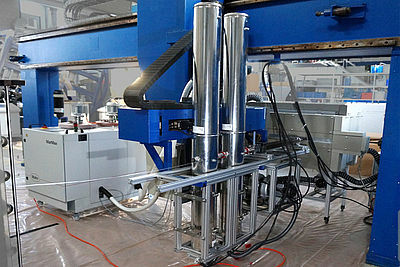 After this pre-polymerisation, the composite material of roving and pre-polymerised matrix is deposited on the mandrel. 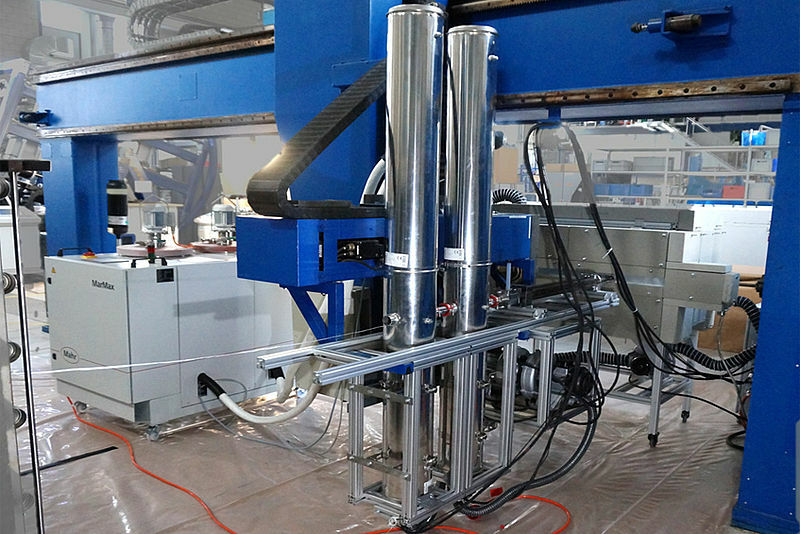 The mandrel is heated by a special circulating air oven and encapsulated so that the entire process from the roving to the final product is screened off from the ambient air. The project is being funded via the AiF as part of the Joint Industrial Research program (IGF) of the German Federal Ministry of Economic Affairs and Energy (BMWi).